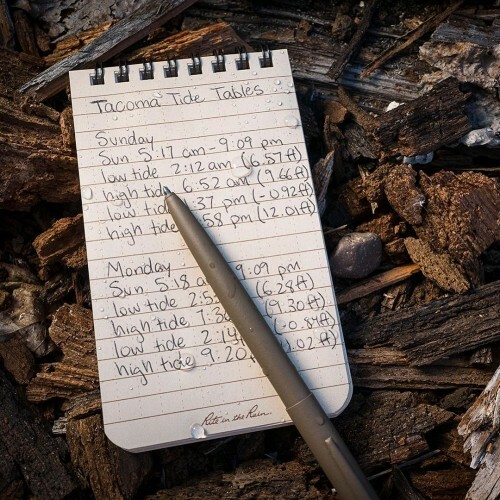 While waterproof notebooks can be comfortably written in using pencil, nothing works quite as well as a waterproof pen. 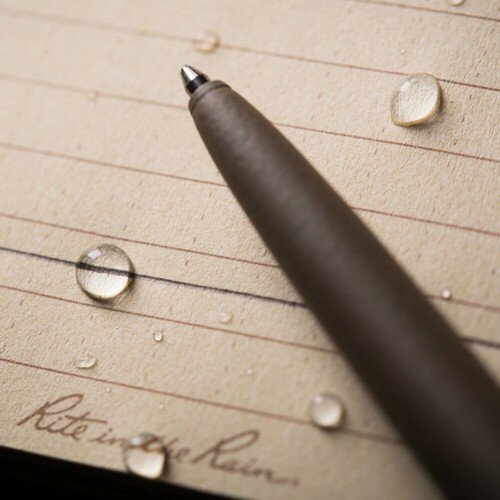 Made using a special pressurised ink cartridge that effectively prevents leakage, this Rite In The Rain waterproof pen can not only be used to write in the rain, it also works perfectly underwater! Should you happen to be upside down when the urge to write strikes, then this waterproof pen will let you jot down whatever you have to without having needing to right yourself up first. 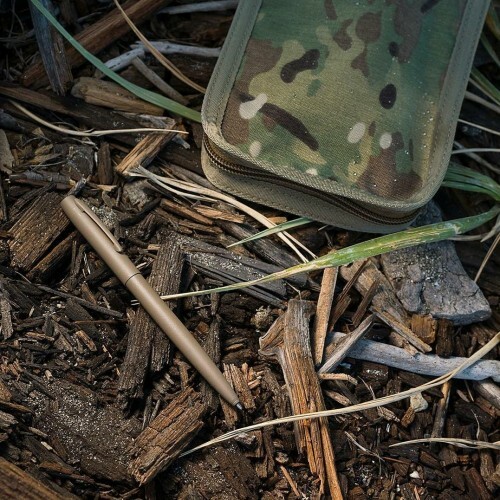 In addition to being waterproof, the Rite In The Rain Flat Dark Earth Metal Clicker Pen is also temperature resistant. 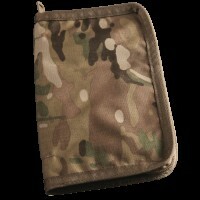 Unlike many pens that suffer when temperatures get too cold or leak when they get to hot, this Rite In The Rain pen can be used in temperatures as low -34°C as and as high as 120°C without any issues. 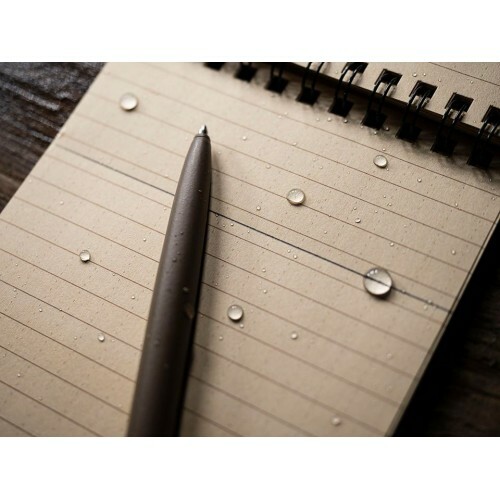 For all intents an purposes, this waterproof pen can be used anywhere and in any situation, making it one of the most reliable writing tools available.